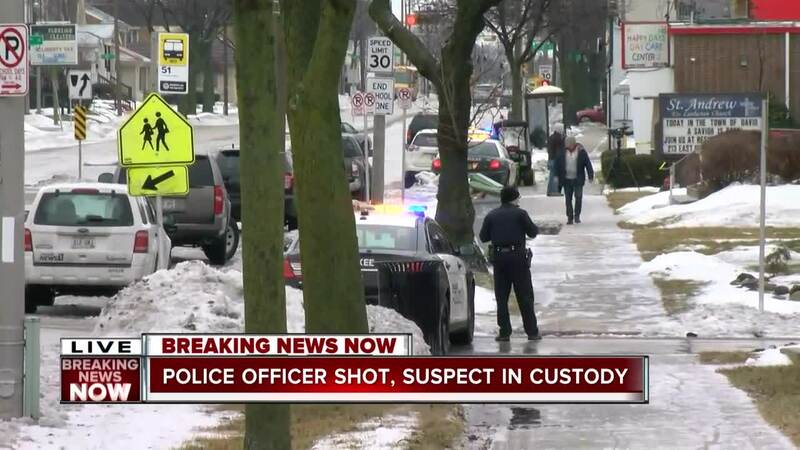 A Milwaukee Police officer has been shot and the condition is unknown. A suspect is in custody and there is no threat to the public, according to MPD. MILWAUKEE -- A Milwaukee Police officer has been killed after being shot near 12th and Oklahoma. The officer was transported to Froedert Hospital. A suspect is in custody. Local police departments are offering up thoughts and prayers after this event. Please join us and send your thoughts and prayers to the Milwaukee Police Department, as news of an officer being shot this morning is breaking. Our thoughts are with the @MilwaukeePolice and their officer who was shot this morning.